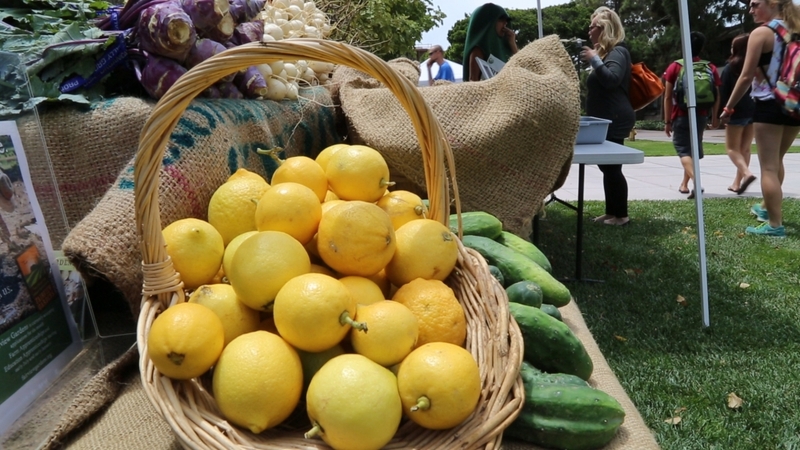 The Gaucho Certified Farmer's Market takes place on campus every Wednesday from 11am – 3pm. David Cleveland, a professor of environmental studies. 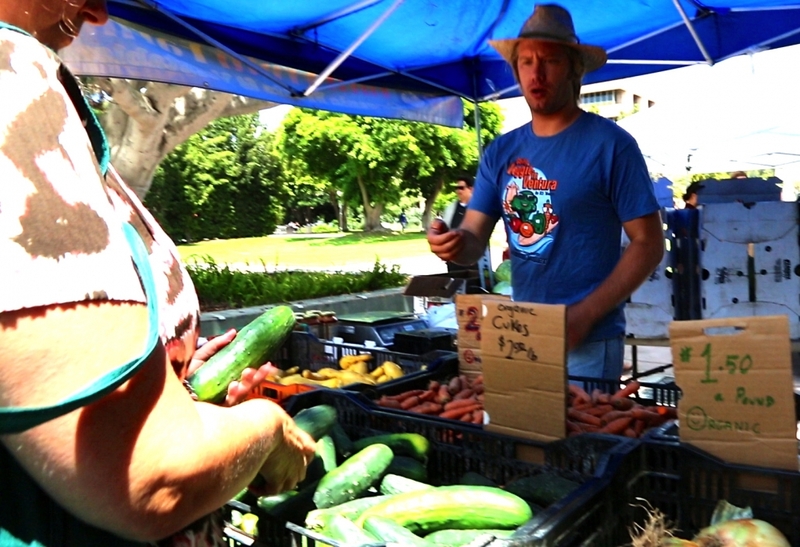 UCSB's Gaucho Certified Farmer's Market is the brainchild and ongoing initiative of staffers who participated in development program GauchoU. Kristen LaBonte is the staff advisor to UCSB's Greenhouse and Garden Project. UCSB is leading a systemwide best practices committee on farmer's markets as part of the UC Global Food Initiative. Can altering our diets impact the global food system and, ultimately, change the world? It is possible and, on the individual level, relatively simple, according to David Cleveland, an environmental studies professor at UC Santa Barbara. Even minor dietary tweaks, he argued, could improve personal health and, over time, benefit the earth. Cleveland was one of four featured speakers at the event held in conjunction with UCSB’s weeklong observation of national Food Day. 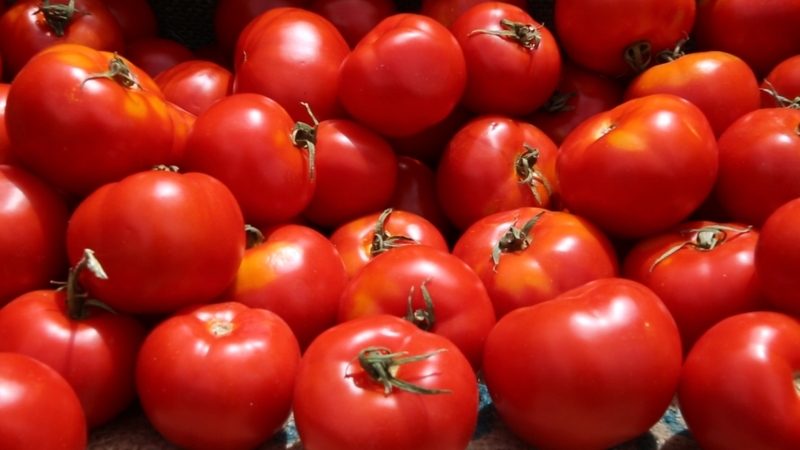 The latter event is an annual nationwide celebration — and year-round movement — advocating for healthier, more affordable and more sustainable food. Campuses across the UC system have marked Food Day as an extension of the university’s own Global Food Initiative, an effort to develop, demonstrate and export solutions — throughout California, the U.S. and the world — for food security, health and sustainability. The panel at UCSB capped off a menu of campus events that also included a vegan potluck picnic for “Meatless Monday,” the weekly Gaucho Farmer’s Market and an informational session with staffers from the Greenhouse and Garden Project (GHCP). Speaking during the culminating forum, Kristen LaBonte, staff advisor for GHCP, pitched the engagement effort — membership is open to students, staff, faculty and local residents — as a means of teaching sustainability in the greatest sense of the word. Imparting such “forever” skills is also a priority for the Associated Students Food Bank, a three-year-old, student-founded pantry that has served 3,500 students since 2011. Its slogan, “Fighting hunger. Feeding lives,” is a direct reflection of its philosophy, said coordinator Tuyen Nguyen. Decreasing the numbers of hungry students will rely heavily on food justice — a term used in the growing push for equal access to the healthier and organic food that is too frequently out of reach for those struggling to make ends meet. In his remarks at the Food Day forum, Nelson Lichtenstein, who holds the MacArthur Foundation Chair in History at UCSB, advocated for improving wages and conditions across the grocery industry as one way toward food justice. Giving employees better job security and a stronger voice, he argued, could trickle down to effect change in food companies that are largely exclusionary to the less fortunate. The University of California Global Food Initiative aims to put the world on a path to sustainably and nutritiously feed itself. By building on existing efforts and creating new collaborations among UC’s 10 campuses, affiliated national laboratories and the Division of Agriculture and Natural Resources, the initiative will develop and export solutions for food security, health and sustainability throughout California, the United States and the world.